A capsule filled with space station trash bit the cosmic dust Wednesday with a keenly interested scientific audience. The cargo carrier broke apart and burned up while re-entering Earth’s atmosphere high above the Pacific. Researchers gathered information on the breakup from sensors it carried, in hopes that the data will improve future spacecraft. Built by Virginia-based Orbital ATK Inc., the capsule had been cut loose from the International Space Station last week. It followed its own orbit until it was steered into the atmosphere, where it was consumed by the heat of re-entry. The vessel had been the scene of another fiery experiment shortly after it left the space station. A large blaze deliberately was ignited in it so Nasa could study the spread of flames in weightlessness. Like the re-entry test, this, too, was aimed at enhancing spacecraft safety. The so-called “Cygnus” vessel was named the S.S. Rick Husband, after the commander of the doomed space shuttle Columbia. Husband and six other astronauts were killed as Columbia broke apart during re-entry in 2003, the result of launch damage. 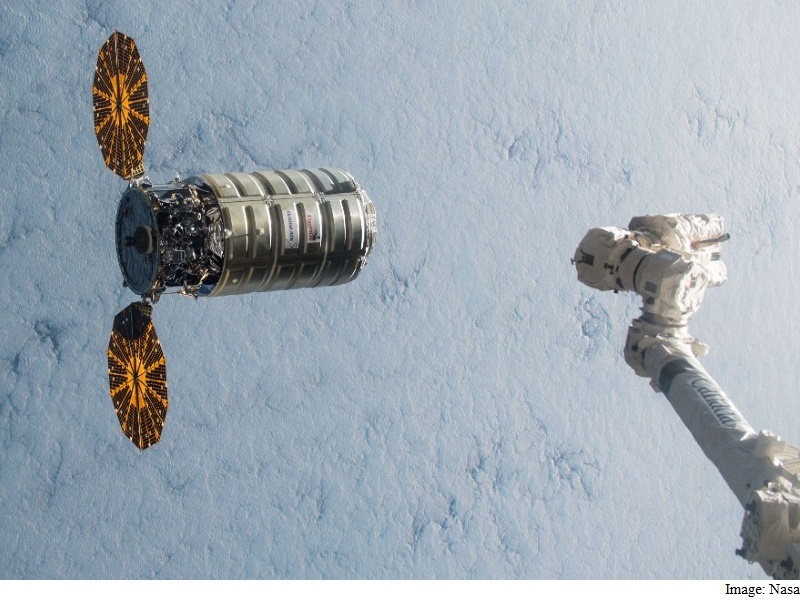 Nasa is paying Orbital ATK, as well as SpaceX, to stockpile the space station. SpaceX has another station supply run coming up next month, while Orbital ATK plans to resume launches from Wallops Island, Virginia, in August. Orbital ATK temporarily moved its Cygnus flights to Cape Canaveral, Florida, after its Antares rocket exploded during liftoff from Wallops Island in 2014. This latest Cygnus was launched to the space station from Florida back in March, using another company’s rocket. Once the supplies were unloaded, the capsule was filled with more than 4,000 pounds of garbage and discarded equipment for disposal. It had delivered twice that much.